Welcome to Nial and Ines Fisher’s Sports Photography website. 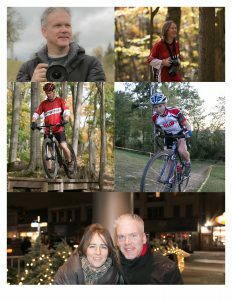 They combined their love and passion for everything cycling and photography and created Pedal Power Photography. They enjoy riding their Mountain, Cross, Road and Fat bikes. They regularly take part in many local races. That’s usually where you can find them cheering you on and capturing your moment, as you give it your all in those many great events we have in and around our cycling community. Feel free to browse their galleries. You can also book them for a private Family/Individual portrait session.